All of us want to eat full-flavoured food. And what do full-flavoured means? Rich and intense with high salt content. When you dine at restaurants, salt and pepper shakers are always part of the table setting. You and I know that too much of salt is bad for health. Are there any ways to reduce salt intake, yet still able to enjoy flavourful foods? An otherwise plain and bland dish, herb butter makes your dish much superior and delectable. You can easily make your own, using fresh herbs from your garden or store-bought. If you have more herbs than you need for cooking, this is one of the best ways utilizing them. Waste not! So, I hear you asking – how to make a herb butter? Every one of us has our ups and downs and there will be days when you just don’t have the appetite to eat. If this prolongs for a few days, it will cause weight loss. At the same time, you will be undernourished which is not good for your health. You don’t want that, do you? What better way that finding natural ways to increase appetite? When it comes to buying a piece of kitchen appliance, do you find yourself having a difficult time choosing the best? I certainly do. The various brands available, the range of models, designs and other elements need to be taken into consideration. Not forgetting the warranty and most importantly, the price tag. If you are reading this article, surely you are interested to find the BEST Slow Masticating Juicer to buy. In ancient times, herbs have been used for curing ailments and general personal care such as skin and hair care. If you are looking for natural hair care products, why not use the common cooking herbs which are readily available in your garden or kitchen. Herbs are natural produce and they certainly help in managing healthy hair. This is the reason many hair products manufacturers include herbal produce into their products. It’s been mentioned frequently how herbs enhance the flavour of your home cooked meals. I bet you will agree with me. Besides flavour, let’s not forget their nutritional and medicinal values that benefit your health. Even though you don’t normally consume herbs in large quantities (some herbs can be potent), a fair amount is a good source of nutrients for your body. Furthermore, most herbs have antioxidant and anti-inflammatory properties. The question I have for you is – have you thought of juicing with herbs? Read on to find out what you ought to know about this. Some of my friends know that I love reading recipes. Yes, it is what I do during my downtime. And of course, with a cup of coffee in hand. Recently, I came across the word – bouquet garni. What a pretty name this is but I have no idea what was it precisely. Do you? Well, let’s find out the definition of bouquet garni. I will also share with you how to make your own and use it to cook delectable dishes like a trained chef. A sore throat is very common at my home. Usually, there is nothing to worry about. However, the irritation and itchiness can make it unpleasant. Sometimes, the worse ones can lead to pain while swallowing food. The most unpleasant situation is having a sleepless night caused by the itchiness and pain. What will you do? I am sure you will love to find a quick sore throat relief. Help! There is an outburst at home. What do you think it is? It is one of the worst nightmares for any teenager. Yes, acne outburst. Before you run out to the nearest pharmacy to buy an over the counter medication for teenage acne treatment, you will want to find out how to treat acne naturally. 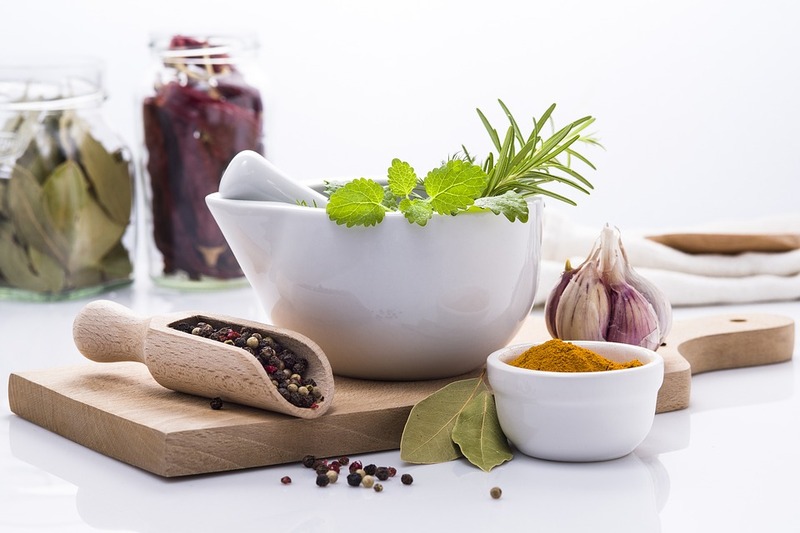 Herbs and spices have been used for medicinal purposes all over the world for centuries. They are the best gifts Mother Nature provides. So, let’s find some natural ways to clear acne using herbs and spices. In an effort to be completely transparent. I want to let you know that I have an affiliate relationship with some of the companies whose products or services I recommend. Posts may contain affiliate links as part of the Amazon Services LLC Associate program and other affiliate services. This means that cornerofmyhome.com receives a small commission by linking to Amazon.com and other sites at no cost to the readers. Read more about my affiliate relationship here.